Please note that this page is for the visor only. If you do not already have a pair of Blast Goggles you will need to order it also. 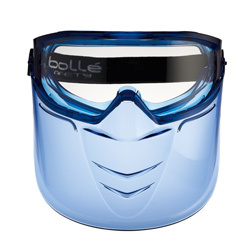 The Blast Visor is designed to give you increased protection for the whole face where hazards to your nose and mouth could be an issue. 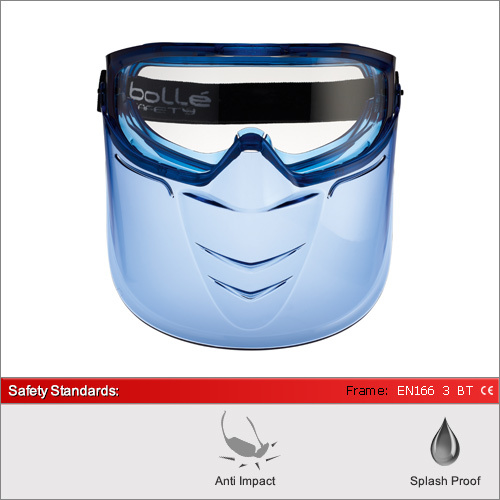 It can be attached or removed from the goggles in a matter of seconds and includes the same high specification of the goggles with B & T impact resistance grades even at extreme temperatures.